Following their first Grand Slam triumph at Miss Supranational last year, Korea has done it again. 23 year old Seung Hwan Lee defeated 35 other distinctively handsome men to be crowned the 12th Mister International in Yangon, Myanmar. 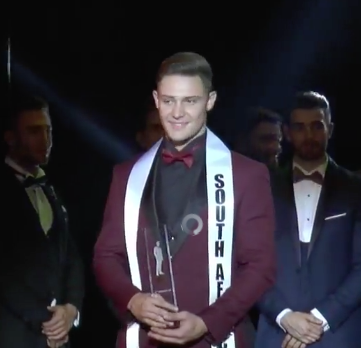 Manuel Molano from Colombia finished in second place while South Africa's Dwayne Geldenhuis finished in third place. 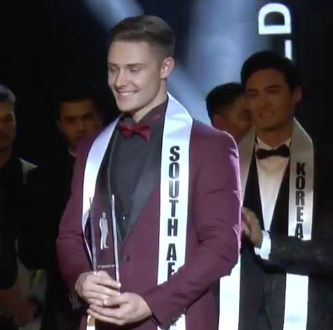 Completing the top 5 were the contestants from Switzerland, Alessio Constantini and Vietnam, Tran Minh Trung. Advancing to the top 10 before being eliminated after the evening wear round were the delegates from Venezuela, Puerto Rico, Japan, Nicaragua and the Philippines. Rounding out the top 16 were the contestants from Poland, Indonesia, Netherlands, Spain, Lebanon and Mexico.